Running out of breath when singing a long phrase is SO frustrating! No matter what genre you sing, I think most of us have had the experience. There’s always that one phrase in that one song that gets you every time. I remember a specific piece that used to give me so much anxiety because there was one long phrase I could never make it through no matter how hard I tried. Do you relate? I’ve come to understand that if I’m running out of breath when singing a long phrase, the issue is not what’s happening during the actual phrase. The problem usually lays in what’s happening with my breath and support BEFORE that phrase – often many, many bars before it. When I’m so laser focused on the actual long phrase, I fail to notice how my singing and breathing in the bars prior to it might be sabotaging my ability to sustain it once I get there. 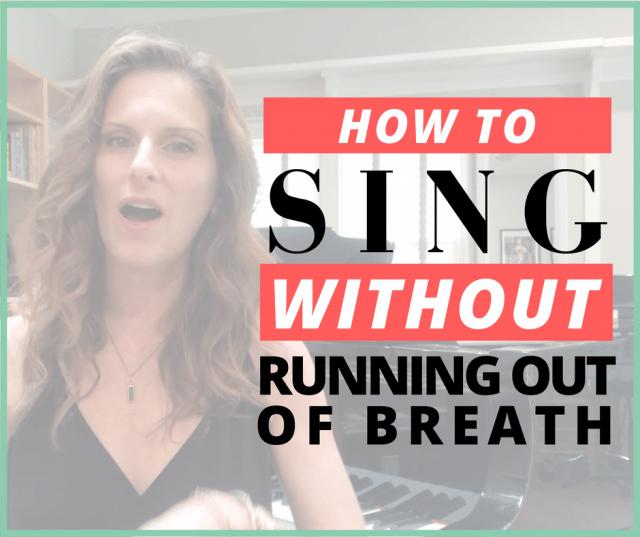 In today’s video, I work with a singer on getting present to why she’s running out of breath when singing a long phrase. Watch the transformation as she backs up, understands what’s happening with her breathing earlier on in the song and how that effects her ability to make it through the long phrase later. The next time you experience running out of breath on the same phrase every time, look at the big picture! Am I releasing on the inhales for each phrase earlier in the song leading up to the long phrase? Or am I grabbing high, tense breaths? Am I engaging consistent support in each earlier phrase like an elevator going from the top floor all the way down to the basement without stopping? Or am I inconsistent in my support like an elevator stopping on each floor as I change pitch or words? Am I lengthened in my neck and soft in my jaw earlier in the song? Or am I already grabbing, shortening, controlling, tensing, etc.? 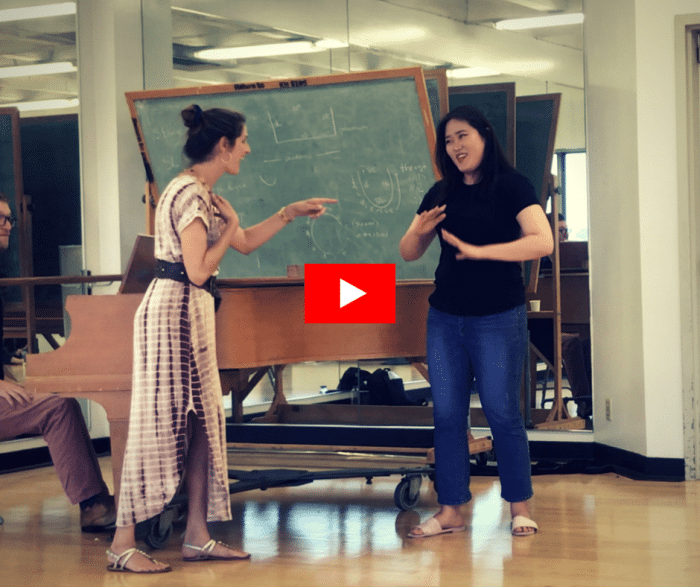 Be present to what you notice as you sing (and if that’s difficult for you or if you find yourself on autopilot without even realizing it, The 4 Month Intensive can help). Check in with your body and your breath in each moment as you sing. If you are experiencing any of the issues above, there’s your answer! Nine times out of ten, addressing the issues popping up earlier in the song will set you up for success on the long phrase without running out of breath when you get there. If you find today’s post helpful, please forward it to other singers in your life who could benefit from this wisdom. Let them know you support them and expand the community of compassionate rather then competitive singers. Remember, you are never alone on your journey towards better singing. This community is right here with you — doing our best to learn, grow and sing with intention and integrity.